In a specially convened meeting at Mantralaya on Friday, the state and the central government agencies vowed to reduce the death toll on the railway tracks by 50% in the next two years. On average, railways record 10,000 accidents a year of which a third are fatal. 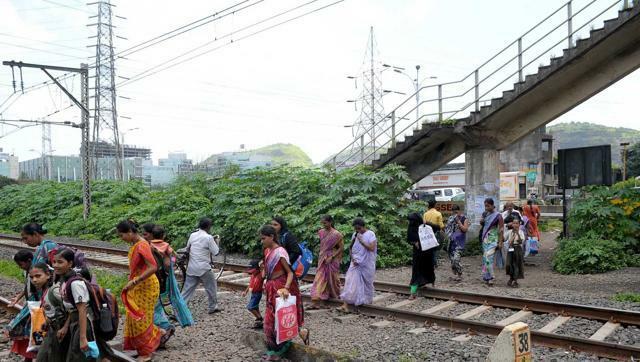 During the meet, railway authorities assured that they would plug of the spots used by trespassers to cross the tracks and raise the height of the platforms — by at least 900mm — by March 2018. The railways has identified 112 vulnerable spots, which will be plugged in the next three years. “Every day, 30 people get injured on the railway tracks. Out of these, 10 die while another 10 are seriously injured. The rest sustain minor injuries. About 58% of the accidents occur while commuters are crossing the tracks and 80% of them are recorded at the vulnerable spots identified by the railways as vulnerable. Most of these spots have been created by cutting the fencing or hammering a hole through the boundary wall along the tracks. Plugging these holes will help us bring down the fatalities,” said Kirit Somaiya, BJP MP and convener of the parliamentary sub-committee for Railways of Public Accounts Committee.